KRAFT DAIRYLIAR ? Kraft have joined Nestle and other manufacturers of dairy foods reprimanded for making pseudo health claims about dairy foods that just aren't true. 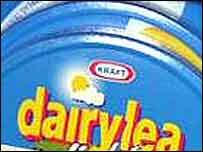 A Dairylea online advert claiming its Lunchables snack was "packed with good stuff" was misleading, a watchdog says. The Advertising Standards Authority said on average each portion contained half the recommended daily intake of salt for four to six-year-olds. ASA found two of the six products tested had high levels of saturated fat. It received three complaints about the advert which showed various Dairylea Lunchables sandwiches and the phrase: "Packed with good stuff". The watchdog found the claim had breached advertising rules and told Kraft not to repeat it. ASA said the advert claim implied "that Lunchables contained a high proportion of nutrients that were beneficial to health, when we understood that they contained high levels of saturated fat and sodium". ASA added: "We therefore concluded that the claim 'packed with good stuff' was misleading." The number of “vegan children” is also set to soar. Already, around 1.5m American children aged 8-18 are vegetarian. This trend could spell trouble for the meat industry, which has already launched a counter-offensive. “If the Veggie Child trend is sustained through adulthood, the industry’s future could be at risk,” says Mr Penn, who foresees a growing market for “designer veggies” and tips soya-bean futures as “a great investment”. On Donny Osmond’s new TV game show on BBC 2, Identity, guessing the vegan identity proves to be one of the toughest identities of the whole TV series. 70’s Pop icon Donny Osmond hosts the new TV show Identity – the ultimate TV mind-game on weekday afternoons on BBC Two. Already a massive hit in the US, Identity is an intense game of impulse and reasoning. It stretches the contestants' powers of judgement, perception and instinct as they attempt to match 12 complete strangers with their secret identities. The more strangers they identify, the more cash they win. The Identity contestant has to use all their powers of deduction and perception to work out who is who – from the first Bond girl to the world’s strongest man or the GP to the glamour model. If they can match all 12 strangers to their identities, they can walk away with a cash jackpot of £10,000. In one of the shows one of the strangers is a vegan and trying to identify their vegan identity proves to be one of the hardest shows of the Identity TV series. Just what does a typical vegan look like? These days it’s hard to tell, the old stereotypes painted by the media of skinny, bearded, smelly left wing hippies are long gone. There was recently a two page feature in the Daily Mail detailing the diary of one of their journalists who went vegan for a month and cut his cholesterol levels by nearly 25%. With the realisation that a vegan diet and lifestyle can be a recipe that’s kinder to the environment, kinder to health and of course kinder to animals, people from all walks of life and all age groups are becoming vegan. There are vegan Doctors, vegan firemen, vegan athletes even vegan accountants. So who is the vegan stranger on Donny Osmond’s new TV show. Is it a he or a she? Is he or she old or young? Fat or thin? Old or young? You’ll have to watch to find out, this could prove to be one of the hardest mind games on TV ever –. Was it Gandhi who said if you say a truth enough times it will become a fact? OK here goes..... Veganism can prevent cancer , vegan diets can prevent cancer, a wide variety of fruit and vegetables in your diet could cure cancer. Cancer cure stories are all over the press like a rash this week after reasearch showed colours in fruit and vegetables could kill up to 20% of cancerous cells. Do we here shouts of "Eat more fruit and Veg! Prevent Cancer!" No, they are all excited because they think they can isolate the colour (forgetting about all the other anticancerous nutrients in the fruit) and turn it into a drug. Please help me out here people. How many people died of eating too much fruit and veg in 2006? How many people died of taking too many drugs or died of side effects of 'safe' drugs in 2006? Pie lovers in New Zealand have banned vegetarian pies from their contest as they are scared of their meat pies getting beaten again as they were in the National competition. After the disgrace of the national pie contest, in which the top award was given to a vegetarian concoction, we at the Taranaki Daily News have decided there is nothing else to do but have our own pie contest. So we're looking for all you commercial pie-makers out there to enter your creations and vie for the title of Taranaki Daily News Pie of the Year. We will select four category winners, from which the ultimate winner will be chosen. No fruit or vegetarian pies will be allowed to compete. Pies must be produced in Taranaki no national franchises allowed and be on sale somewhere in the province. There will be four categories: Traditional mince, traditional steak, traditional bacon and egg, and cosmopolitan (which includes any ingrdients, as long as one of them is meat). Press Release - Organic Award Winners-Plamil Health Food Wins Best Vegan Chocolate Awards Plamil Foods win yet another award for their organic Vegan Chocolate, this time from PeTA. 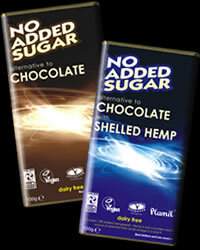 Plamil have launched a number of new products such as a vegan chocolate drops with seeds in a pot and a new carob bar. All products are now made with 100% renewable energy. Gluten free Christmas recipe is suitable for everyone - dairy & wheat free, vegan Christmas cakes, puddings, snacks & baking. Zedz Foods Gluten Free Vegan Christmas Cake & Christmas Pudding. Yvonne Bishop-Weston from Foods for Life Nutritionists, London says "Up to 1 in 3 people now believe they have some form of food intolerance. It's not just small family businesses such as Zedz that are fulfilling the rising demand for gluten free and free from foods"
Arla one of the biggest dairy producers in Europe report that 95% of Asians, 75% of Afro Caribbean and 1 in 7 of people in the UK are likely to be intolerant to dairy and have targeted the free from market with a new milk. "Sales of Dairy free foods have risen dramatically and you can get a range of dairy free milks from rice and hazlenut milk to quinoa and even hemp seed milk." says Yvonne. If ever you needed an example of the power of numbers or are seeking inspiration for the potential power of veganism then watch this video. A pride of lions (the ultimate carnivore) creep up on a herd of water buffalo (Vegan Herbivores) and kidnap a baby calf. After a tussle with two crocadiles the pride settle down to their supper but the baby buffalo is having none of it and keeps kicking and shouting to his dad. The vegetarian water buffalo regroup, charge and the calf's dad tosses a lion in the air and chases the othes off helped by some of the other older fiercer bulls. Calf rescued and reunited with his family safe in the centre of the herd the water buffalo proceed to chase the rest of the lions away from the watering hole to leave only the crocadiles to contend with. The Jim Henson Muppet Animation team have been working on a TV series that stars a gay vegan pig - quelle surprise the US TV networks have been lukewarm about the idea - it seems it will be now screened on line.